Mario Vittone is a nationally recognized expert on water safety. His writing on aquatic risk and drowning prevention has appeared in magazines, websites, and newspapers around the world. 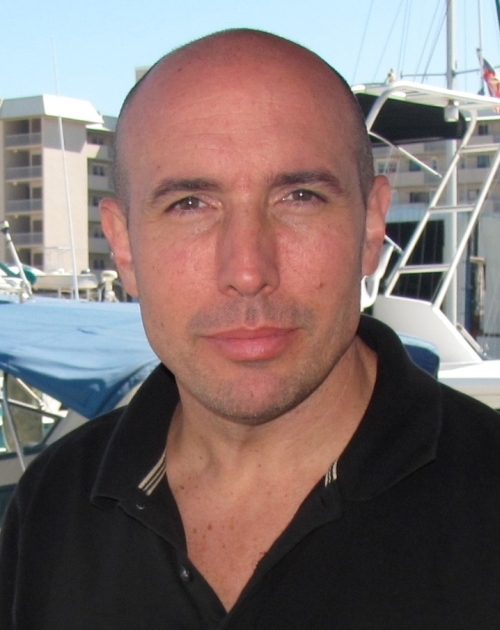 Mario is a former Coast Guard Helicopter Rescue Swimmer and instructor and has lectured on boating and water safety across the United States. He currently serves on the Board of Directors of the National Drowning Prevention Alliance and the Joshua Collingsworth Memorial Foundation. More on Mario from his blog: Mario Vittone has been heading offshore since 1985. His first experience with at-sea emergencies came that first year as ship’s company aboard the USS Coral Sea, a WWII era aircraft carrier. Joining the Coast Guard in 1991 he worked at Training Center Cape May before transferring to the Cutter Point Franklin as a helmsman and small boat coxswain. He graduated from Helicopter Rescue Swimmer School in 1994 and began his career as a rescue swimmer with two tours at Air Station Elizabeth City, one at Air Station New Orleans, then finally as an instructor and course developer at the Aviation Technical Training Center in Elizabeth City, NC. He recently retired from the U.S. Coast Guard following four years as a vessel inspector and accident investigator in Norfolk, Virginia. Mario is a leading expert on immersion hypothermia, drowning, sea survival, and safety at sea. His writing has appeared in Yachting Magazine, SaltWater Sportsman, MotorBoating Magazine, Lifelines, On-Scene, and Reader’s Digest. He has developed courses for municipal rescue teams and the military on search and rescue tactics and open ocean survival. In 2007, he was named as the Coast Guard Active Duty Enlisted Person of the Year and was named as the 2009 recipient of the Alex Haley Award for Journalism. Mario lives with his family in Coastal Virginia, and when he’s not writing about the water he can be found on his 32 foot St. Tropez, making sure she stays above it. Click here to read Mario’s Water-Full life blog articles. Connect with Mario via his Blog and Facebook page.